Any walled environment has the potential of becoming an exciting place to work and visit. The last thing you want for your business is an uninspiring workplace. Office branding is a perfect way to solve this problem and improve your own work experience. 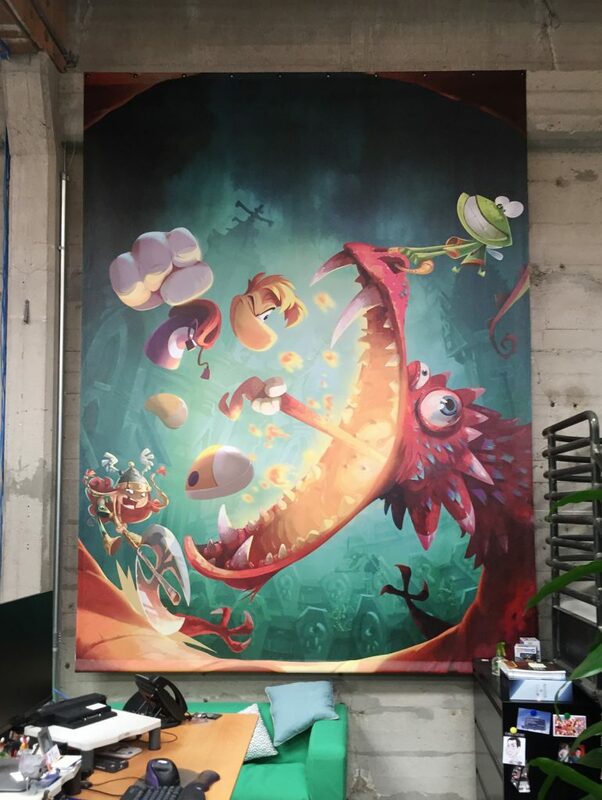 Large format printing gives you the ability to print any high-resolution piece of artwork, on a banner, a poster, or even a wall mural. 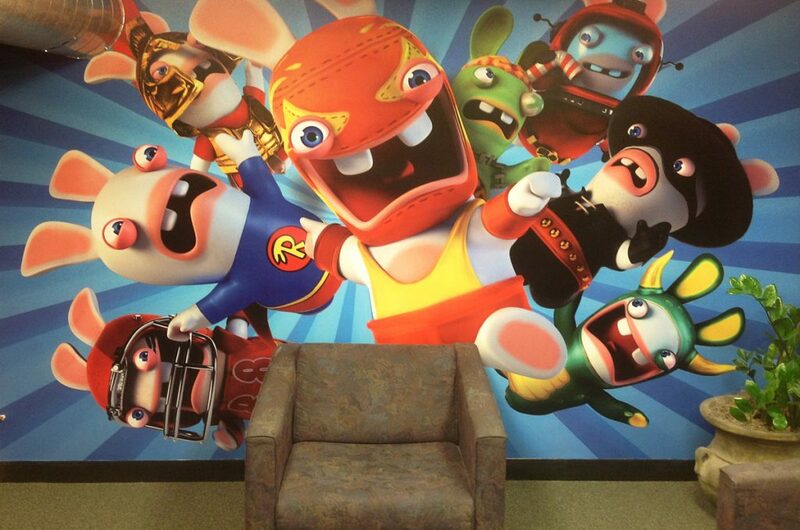 Think of the possibilities to turn your office into an exciting brand contact point. Like any home, the artwork a business uses has always been a method of showing your prosperity and good taste. Signage serves as a way to keep your guests engaged, curious, and inspired. Likewise, it is vital to focus on the atmosphere of a space and not just the functionality. 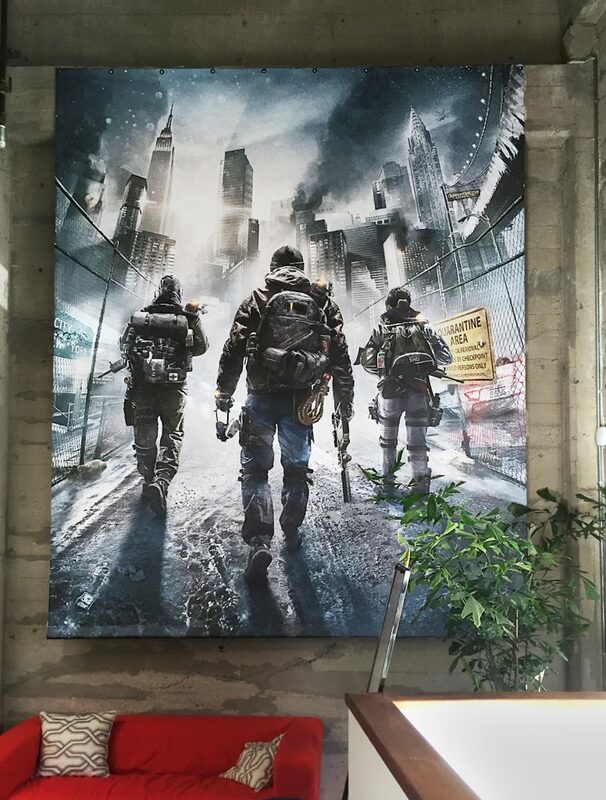 Working with Ubisoft’s office designers, we used existing artwork and advertising material to boost their in-house branding presence. Product marketing material is great and easy to use, as long as it is the correct resolution. Anything from artwork to logos can be printed into beautiful canvas posters, bold adhesive vinyl murals, and much more. We transformed the entire office space from the lobby to the conference rooms. 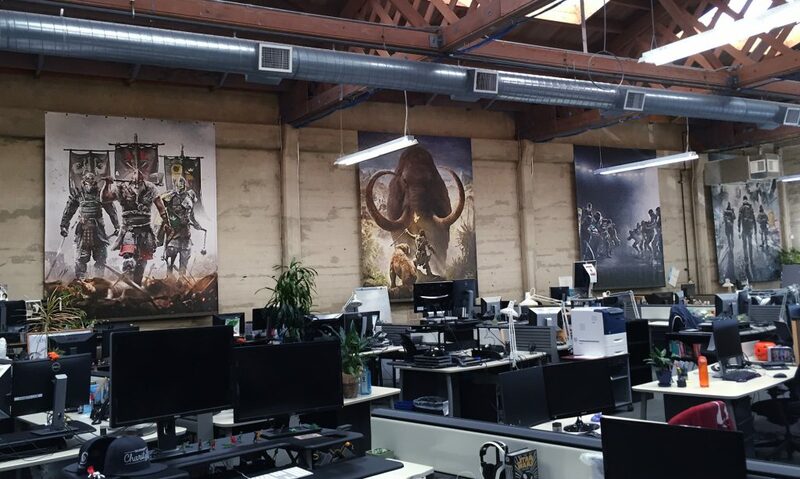 Ubisoft certainly has a workspace they are proud to call home, thanks to the power of large format printing. For information on office branding services from Dynamite Digital, click here to give some information on your needs and to receive a custom quote for your job.